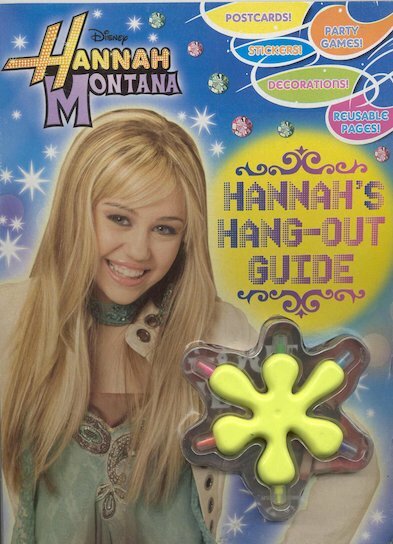 Hannah can hang out like no-one else – and even better, she can teach you how to do it! Just open her handy little guide for a treasure-trove of great ideas for having fun with friends and crushes, whether it’s a party, a sleepover with your besties or a fabulous day at the beach! Fill in the gaps to discover Hannah’s super star secrets. This is a great book , once you open it you just want to take it all in and you can do some of the activitys with the highlighter that comes with .I TRULY RECOMMED IT!!! This book is totally awesome! You’ll love it to BITS once you actually TOUCH it, then when you read it you’ll fall so much in love with it you’ll want to marry it!